Coating with excellent adhesion on inner and outer surfaces. Extra resistance and rigging against scratching. It provides high cooking performance even with low heat with high heat conductivity. Using less oil than other types of pots makes more delicious dishes. It provides high cooking performance even with low heat with high heat conductivity. 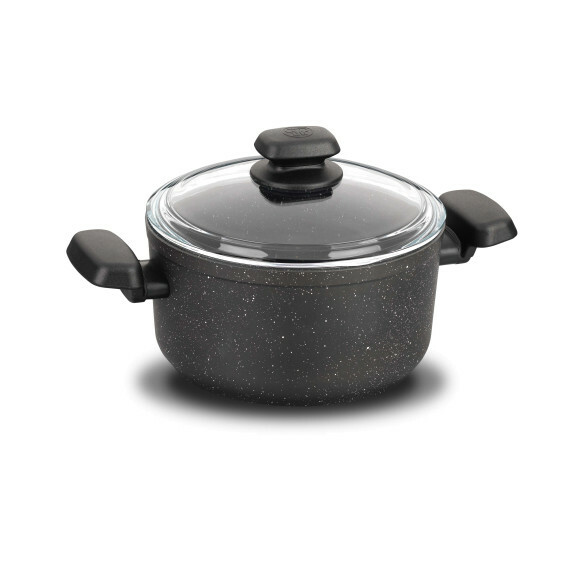 It uses less oil than other types of pots and makes more delicious dishes.